RECENTLY SEVERAL PEOPLE have asked me Guild-related questions. I’ve put together a brief Q&A to keep you all updated. What is the status of the newsroom unit now that Jeff Leib has left us? Jeff was a tremendous worker for the Guild. He helped broker numerous contracts and was involved with many issues in the newsroom. Most recently Jeff served as unit chair. For those who didn’t see it, Jeremy Meyer wrote a nice sendoff. Our bylaws state that the unit vice chair will assume the role of the unit chair until the next quarterly general membership meeting. So, until then, I am acting as unit chair. Who are the unit officers? Here is a listing of the Guild leadership. When is the next general membership meeting? The meeting is scheduled for Jan. 23. We are supposed to hold unit elections during the January meeting anyway, so the buyout date was relatively timely. I promise to provide more details of the January meeting. What is the status of bargaining for a new contract? As I am sure you know, our current contract is set to expire March 11, 2012. The company requested that we begin bargaining this month, and we did indeed have an initial meeting Dec. 8. Nothing substantial came out of that meeting. Our lawyers (for the Guild and Teamsters) spoke with the company’s lawyer and we adjourned after the company lawyer requested more time to review past bargaining notes. What’s the new contract going to look like? Situations you may be aware of that could require new language in the contract. Obsolete language that needs to be removed or updated. Possible changes to your job given our digital-first future. If anyone needs a copy of our current contract, please let me know. You can also find it here. Who is going to be on the bargaining team? It is the unit chair’s responsibility to assemble a bargaining team. I will be asking some of you to join the team. It is a unique experience to help The Post in shaping its future. I think that is quite enough from me. As I said before, please do not hesitate to speak with myself, Sara and among yourselves about our Guild. We all have an interest in what is going on at our place of employment and the Guild gives us the opportunity to make it an even better place. 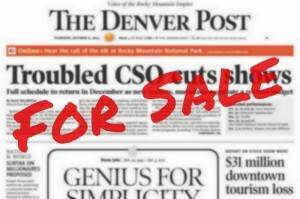 You can email me at tmckay@denverpost.com.